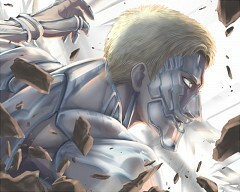 Get latest Shingeki no Kyojin 48 Spoilers (進撃の巨人 48 ) or Shingeki no Kyojin 48 / attack on titan 48 Discussion at mangaspoiler.com. if you would like to discuss the Spoiler or prediction, please leave a comment below. Shingeki no Kyojin 48 / Attack on Titan 48 is out. Read hingeki no Kyojin 48 / Attack on Titan 48 Endlish scanlation at mangastream. Shingeki no Kyojin 48 / Attack on Titan 48 Spoiler Trivia : Technically Mikasa Ackerman is the last asian on earth. Sorry For Spamming. The Anime is going so good right now!! I cant wait till the next chapter. This manga izz good.